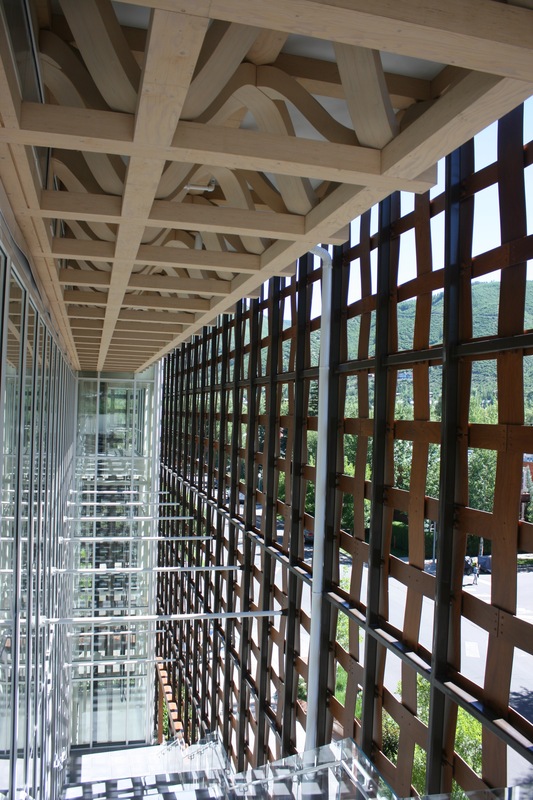 Shigeru Ban’s Aspen Art Museum | ride. travel. live. 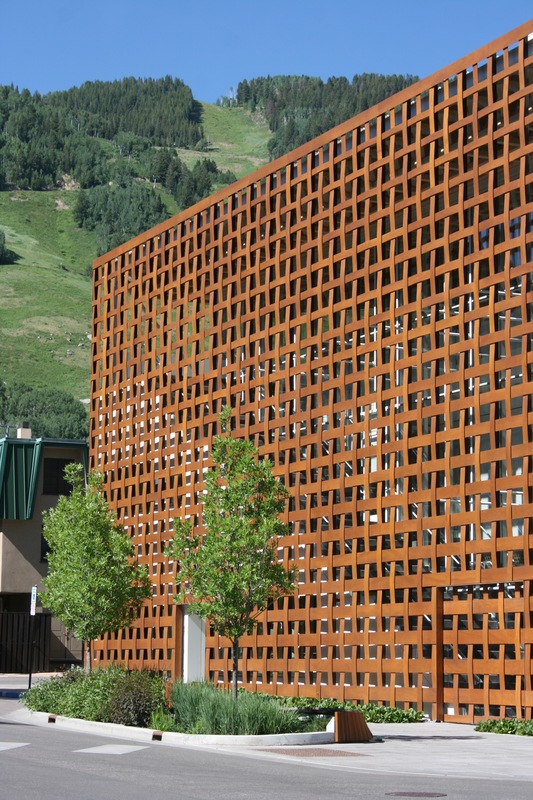 Located in downtown Aspen, this building and the museum’s collection is a real treat to visit. It’s quite small, with three floors of exhibits, no permanent collection, and very friendly staff that approach you to ask whether you have any questions about the art being shown. They’re also very enamored of the building, which was designed by 2014 Pritzker laureate Shigeru Ban, and opened in August 2014. 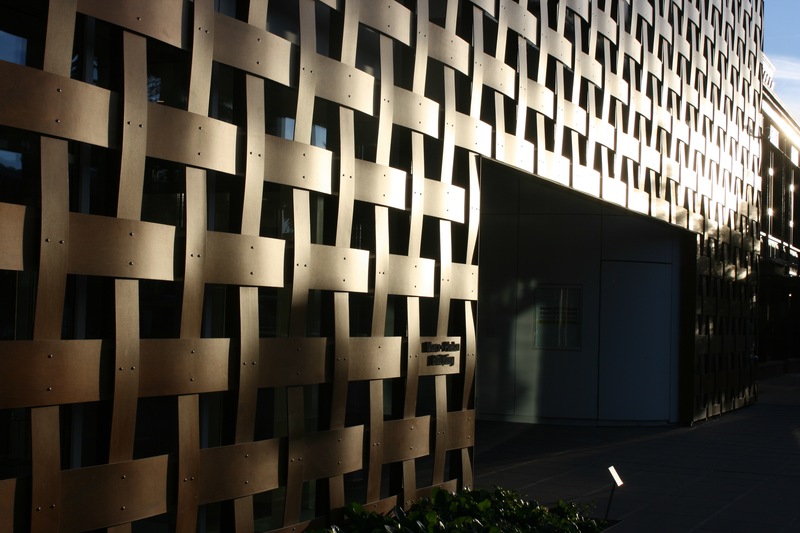 The most noticeable part of the building is the wood-weave exterior that graces the two streetfronts, providing the visitor peeks at the mountain and town surroundings. Between the exterior and the interior of the building is a grand staircase that is echoed in the interior, divided by a glass partition. Essentially it’s an in-between space, “engawa” is the Japanese term for it, and the grand stair unites the outside and inside of the structure. Ban also elaborates on the woven wood theme in the roof elements, which are elegantly curved wood trusses that are easily missed. You’ll need to look up at the ceiling while you’re walking the grand staircase, or check out the rooftop terrace skylights to see the trusses. He also blends in the interior and exterior space very cleverly on the top floor, where a small outdoor sculpture garden merges seamlessly into the indoor / outdoor cafe, and then the interior staircase leading to the exhibition levels. It’s also an unusual feature in Aspen to have a rooftop view, affording a unique, although not so spectacular perspective on the surrounding urban scene. The sidewalk in front of the entrance is also turned into a plaza, with a few trees, benches, and a reflective sculpture. The architect designed this space to de-intimidate the experience of visiting a museum. So this is very different from the grand urban museums (like the Met, British Museum, etc.). Ban is known for his use of recycled materials and for his temporary structures. This museum is no different, with a wall built out of recycled tubes, and this becomes a prime decorative element. Best of all, it’s free, which is something rarely experienced in Aspen.